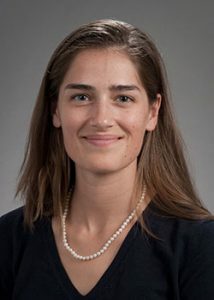 Dr. Ehlers trained in the NIDDK–funded T32 fellowship in Gastrointestinal Surgical Outcomes Research under the direction of Dr. David Flum, Professor in the Division of General Surgery. During her time as a T32 fellow she focused on comparative effectiveness research as well as patient centered outcomes. Her work was multidisciplinary in nature and included topics such as enhanced recovery after colorectal surgery; patient reported outcomes in spine surgery; clinical applications of machine learning; appendicitis; and benign esophageal diseases. She completed her Master’s in Public Health in June 2016 and looks forward to continuing to use the skills acquired from her T32 fellowship as a future surgeon-scientist. She plans to pursue a fellowship in Minimally Invasive Surgery and a career in academic surgery. Dr. LaGrone spent her first year in research completing a Masters in Public Health in the Department of Global Health. For her thesis, she conducted a systematic review of global implementation of the World Health Organization (WHO) trauma care guidelines. 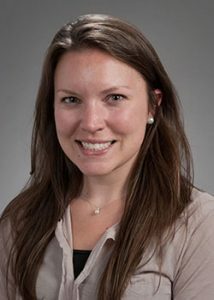 In addition, in collaboration with colleagues from the House–staff Quality and Safety Council, she designed a study to implement a standardized hand–off curriculum in the intensive care units at the University of Washington Medical Center and Harborview Medical Center. She, along with her mentors and colleague – Drs. Patricia Kritek, Associate Professor in the Department of Medicine; Joseph Cuschieri, Professor in the Division of Trauma, Burn, and Critical Care Surgery & Adjunct Professor of Orthopaedics and Sports Medicine; and fellow research resident Dr. Brodie Parent – received a Patient Safety Innovations Program (PSIP) grant for their project “Standardized Verbal Hand–off in the ICU: Decreasing Patient Care Errors through Communication Optimization,” and were accepted for podium presentation of the quality improvement (QI) project at the 2016 national American College of Surgeons congress. For her second year, Dr. LaGrone lived in Lima, Peru where she conducted trauma quality improvement research as an NIH–funded Northern/Pacific Fogarty Global Health Fellow. She conducted quantitative research across Latin America regarding current efforts to implement trauma quality improvement, and in-depth qualitative research in Lima, Peru evaluating the barriers and facilitators to trauma quality improvement program implementation. Through these efforts she helped to develop a Morbidity and Mortality conference toolkit that is being used to standardize this important surgical QI component nationwide in Peru. Dr. LaGrone ultimately plans to work as a trauma surgeon at an academic trauma center conducting local and global quality improvement research. Dr. Parent worked as a research fellow in the NIGMS–funded T32 Postdoctoral Fellowship in Trauma Research under the mentorship of Dr. Grant O’Keefe, Professor in the Division of Trauma, Burn and Critical Care Surgery. During time in the lab, he engaged in translational research related to the field of metabolomics and its applications in critical-care and nutrition. 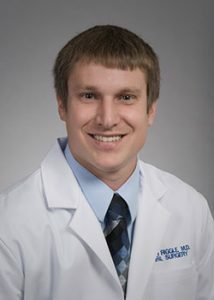 He also coordinated several studies related to abdominal wall reconstruction, necrotizing infections, bariatric surgery, and physician communication. His work has resulted in 9 peer-reviewed publications, 2 book chapters, and 14 podium presentations. Finally, Dr. Parent completed a Master of Science in Epidemiology from the University of Washington School of Public Health during his research period. He is currently applying for a fellowship in plastic and reconstructive surgery in pursuit of a career in reconstruction from traumatic injury (limb and face reconstruction). Dr. Riggle spent two years as a Seattle Children’s Hospital research fellow under program director Dr. John Waldhausen, Professor and Chief of Pediatric General Surgery Division, and faculty mentors Dr. Kimberly Riehle, Associate Professor in the Division of Pediatric General Surgery, and Dr. Raymond Yeung, Professor in the Division of General Surgery. 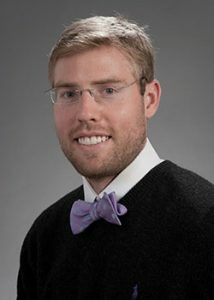 As a part of the Northwest Liver Research Program (NLRP) he focused primarily on studying fibrolamellar hepatocellular carcinoma (FLC) in order to further characterize and understand the potential pathologic role of a recently discovered genetic mutation found in FLC. He presented this work at local and national meetings. Dr. Riggle ultimately plans to use this experience to help him pursue an academic career in pediatric surgery. Dr. Stewart spent two years as an NIH–funded Northern/Pacific Fogarty Global Health Fellow working to improve surgical care in low– and middle–income countries (LMICs) under mentors Dr. Charles Mock, Professor in the Division of Trauma, Burn, and Critical Care Surgery; Dr. Joseph Zunt, Professor in the Department of Global Health; and Dr. Peter Donkor, Professor of Oral and Maxillofacial Surgery at the Kwame Nkrumah University of Science and Technology (KNUST) in Ghana. His research focused on pragmatic solutions to enhance care of the injured, burned and those in need of emergency surgery in health facilities in Ghana. This will be through systematic assessment of resource need, characterization of disease burden and modeling the effect of strategic interventions. 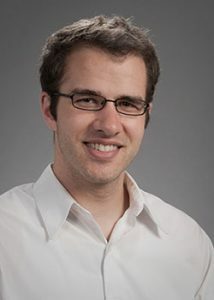 In addition, he studied surgical epidemiology in complex humanitarian emergencies and from population–based studies of surgical need and injury burden in Nepal, Sierra Leone and Iraq. Dr Stewart wishes to pursue a career in trauma, burns and acute care surgery with attention on LMICs. Ultimately, he will bring evidence–based decision making to humanitarian aid and surgical capacity development in LMIC health systems.